Fishing is still great in the Gulf of Mexico in the fall and winter season. We have multiple species to catch and having cool weather is a great bonus compared to our summer heat. We also have a great Fall/Winter discounted rate, so don't hesitate to call - Capt. Curt 850-582-4384. Tuna trips are still available around the oil rigs off Louisiana through December. Bottom fishing here in the Gulf is a year around fishery with many different species to catch. 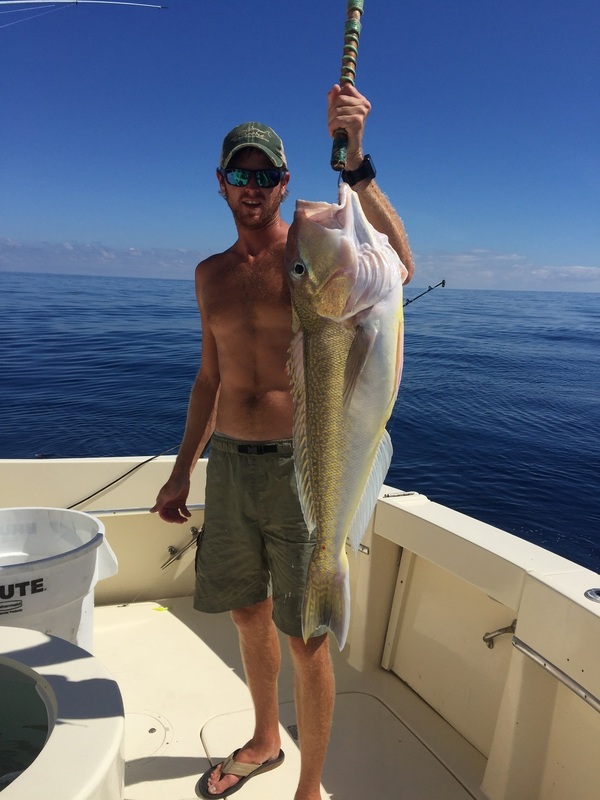 We also offer DEEP DROP trips where you will use electric reels dropping in depths of 600 to 1200 feet of water for fish such as, Tilefish, Barrel Grouper, Snowy Grouper, Yellow Edge Grouper, Scamp, Bull Mingos, and many more species that are extremely good on the dinner table. We are set up for every type of fishing and provide a very nice, clean boat and crew to accommodate everyone's needs. Our boat is available year around so give us a call this Fall/Winter/Spring for some great cool weather fishing. Good fishing with good people!! Nice jacks and a bonus Cobia!! Amberjack season opens tomorrow 8-1-15!!! Call us to book your trip!! Not sure how long the season will last so don't wait around!! !